I suppose deep within I’ve always been irritated with falsehoods, especially in myself. My insecurities can sometimes feel like they are trying to devour me whole. In times past it was easy to hide in protective behaviors, making myself into the chameleon just to pass for normal, whatever that meant? Nowadays I can still feel those insecurities try to take a hold of me, but it just doesn’t seem worth living a lie of any kind. I have to choose to be myself and take a chance I may not fit in with everyone. It’s not always easy but at least it’s honest, no more brilliant disguise. Are You Hearing His Song? “Love can touch us one time, and last for a lifetime”….from a song famously sung by Celine Dion soundtrack from the movie Titantic. I have to admit I have never “heard” this song until today. Sure, it’s played over and over on hundreds of media channels, but my ears were closed to its message until now. It humbles me to confess such obtuse sensibilities. I finally understand why such a song could be so utterly popular! It is the heart of God to let all of us know how much He loves us. He is not distant. He is teaching us the importance of His presence despite our inability to see or touch Him in a physical sense. Never has He left us or forsaken us. He is written upon our very hearts. We can imagine monarchs to have many responsibilities, both now and in times past. I don’t think I would find it enriching to my lifestyle to have all the people of my land come to me for guidance and direction. I can barely find my way to my car some mornings; imagine even a few people on my tail, trying to follow my lead? Sad thought! King Solomon was given more than he asked for. God was pleased with him and told him he could have what he asked. Just think “genie in a bottle” moment here. I have wondered about my own heart many times to ponder what it is I might, and do, ask for in my own life. Solomon didn’t mention riches or long life but he asked for the ability to lead God’s chosen people who were numerous. God gave him wisdom beyond anything seen before or since, but because he did not ask for the obvious things, God also blessed him with riches and an honored long life. Incredible generosity. In a far land was another monarch known as the “Queen of Sheba”. Despite all her own splendor and glory, she chose to pursue the wisdom given by God through the man named Solomon. This pursuit of “more” fires up my own heart. What would I give up in the now to pursue more in an unknown place? I’m not talking of material things. This makes it even more fascinating. Most of the world chases after those things we can actually touch and see. There is a better quest for all of us. My auto pilot engaged early this afternoon because I cannot remember anything about my drive home. Thinking back it just seems like some distant thought that flitted in and out of my mind. I had some things to unload from the car and one of the bags tore, leaving glass shards about the driveway; the liquid drying quickly from the heated cement. I couldn’t be bothered to get upset. Que Sera, Sera…..whatever will be, will be. How many times had I let something so trivial mess with my days in the past? The smallest thing going wrong could set me on edge and I’d stew about it for hours, sometimes days. Today I simply changed my clothes and went back to pick up the mess. No words under my breath, no thoughts of irritation….simply a surrendering to a peaceful attitude. Here’s what my sweetheart said. I am a woman who is deeply in love with one I have never laid my eyes upon. He is merely written upon my heart. I know Him to be as real as the sun or the moon, distant to my physical touch, but very real in existence. Doesn’t it ever blow your mind that the “romance” we all seek is to be one with His people? By touching one another’s lives, how intimate could we make our own lives? To know and be known? 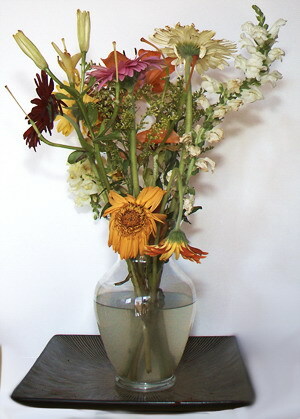 I like to keep fresh flowers on my table, it just brightens up the atmosphere I think. The variety of colors, textures, smells and romance of having them just fascinates me. Wild flowers are wonderful but I don’t bring these home. Seeing them in their fields of splendor is plenty intoxicating to my senses. Sadly time always takes its toll on these beautiful floral. Eventually the water becomes cloudy and one by one they drop their petals for good. I have to empty my vase and throw what is dead into the trash. The price of a fallen world comes to mind again. I long for the day when flowers will remain forever fresh, vibrant and alive. I long for the new heaven and new earth. I long to see flowers with new colors never imagined. My longing I cannot express well enough with mere words. There is something interesting when you wander neighborhoods at night. Most of the world is resting to some degree. This is when I can again be alone in public. 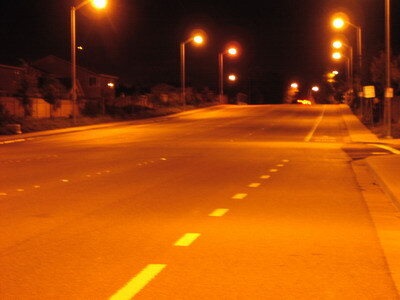 I am drawn to the contrast of darkness being lit up by the street lights lining a thoroughfare. The occasional car which passes leaves a trail of taillights to disappear in the distance. Who was that person? Does their life matter to themselves or others? Where are they going in eternity? Do they ever think about that? The conversations around me are very interesting but I also enjoy listening to those who will avail themselves for one on one chats. Most of these can be engaging but occasionally it’s all I can do not be obvious I’ve long ago checked out of the discussion. My discipline to stay fully alert has not yet been refined but I am a work in progress. I have been intrigued lately with listening to the longings of the heart. I sometimes fall face first into those painful talks, where it seems as though the only dream my chatterbox has is to live someone else’s life. It usually manifests in the predictable ways, “wouldn’t it be cool to have what they have….did you see them on such and such….did you hear about so and so dating……”, you get the picture. Now and again I can’t help myself to want to plant seedlings of thoughts. I try not to do it out of any kind of malice, just a real desire to have them explore their own dreams of who they want to be. There is an incredible reward to be had when you see someone’s eyes light up at remembering some long ago dream they were passionate about. We are a people who need to be reminded of the longings we carry deep in our hearts. The longings buried so deep we have forgotten them altogether. There is a reason we become stirred by music, poems, books, movies, art and the like. They remind us of the deeper things within us. They remind us of who we were supposed to be before the world taught us we had to abandon our dreams and settle for getting by. It’s time for the dreams to live again. I was reminded of a song from many years back and started humming it in my head. The words were such an echo of the verses from above.